A blog related to Entrepreneurship & Innovation. PitchBook posted an informative graphic on the status of the VC industry for the second quarter of 2016. For the quarter 101 funds raised $18.7B with an average fund size of $103.4 M. There were 2803 deals with an average funding of $2.3 M with software companies receiving the most number of investments. The median seed investment was $1M, the median early stage investment was $5.3M, and the median late stage investment was $12M. There were 266 investments with and average exit size of $42.8M. The 2016 99U conference was held on May 5-6 in NYC. The conference speakers provide insights to turn ideas into action. Behance produces the conference and provided a nice summary of The 30 Things We Learned at the 2016 99U Conference. Angel investor Geoff Ralston has written A Guide to Seed Fundraising. It looks to be a very handy guide with lots of references. The Unmistakable Creative website has posted its own list of the 100 Insanely Interesting People You Should Know. The list contains artists, writers, photographers, authors, bloggers, cartoonists, professors, founders, VCs, activists, and speakers. It's a fascinating list. Cyclotron Road is a new technology-to-market program for energy entrepreneurs sponsored by Berkeley Labs and the Department of Energy. The goal of the program is to gather the brightest scientist and engineers together and support the development of energy technology. Application for funding is due September 21, 2015, and the selected entrepreneurs receive the following benefits. The two small VC firms don't tend to lead rounds so if you pull in a traditional VC, then the smaller VC might then participate. 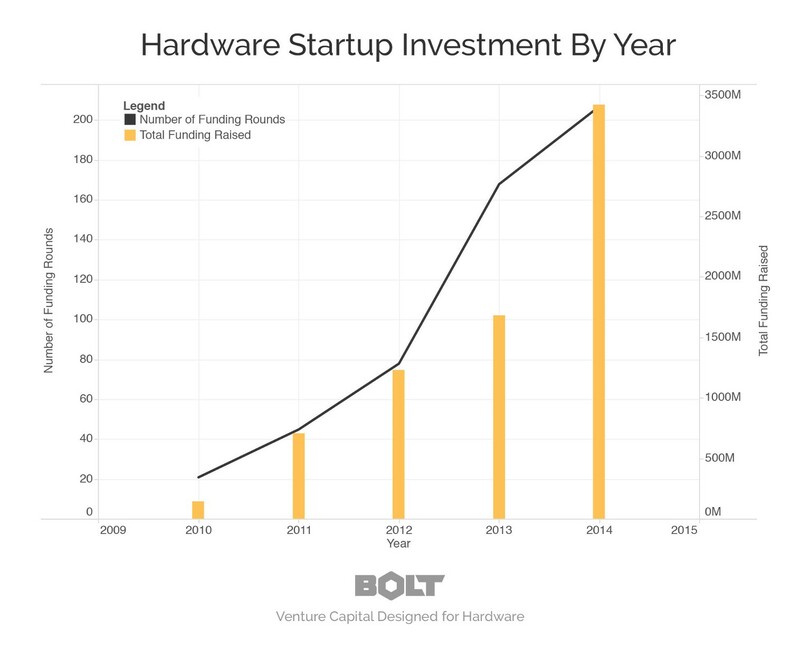 Anyway, the trend for hardware startup is looking good with increasing number of rounds funded and increasing funding year over year. 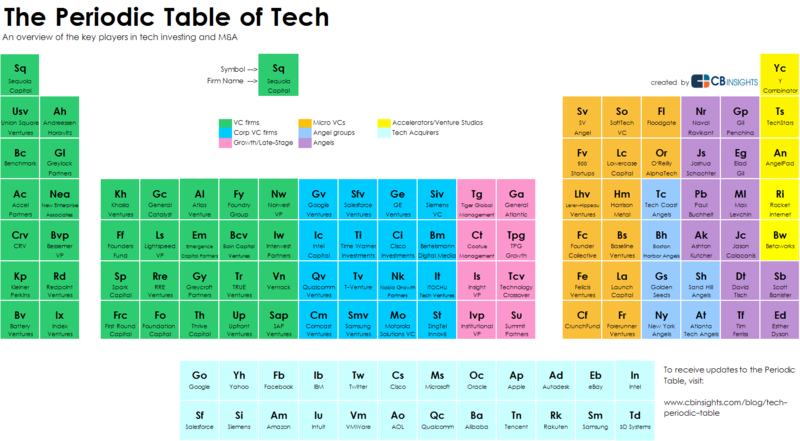 CB Insights has posted the The Periodic Table of Tech. The Table describes 118 venture capital firms, micro-VCs, angels, accelerators, late stage investors and acquirers working in the venture capital today. LinkedIn has a series of videos on Talent thought leadership on-demand. There are a wide range of topics but they all revolve around finding and keeping talent for your company.